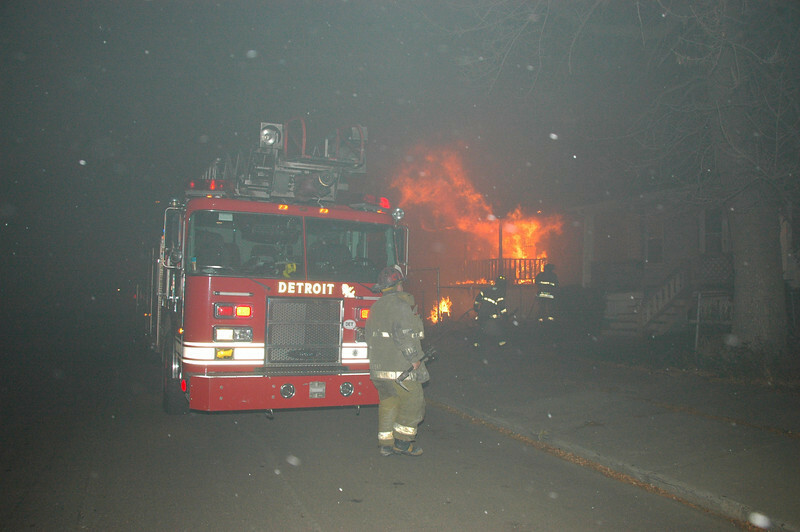 About 15min after leaving the fire at Harbough Detroit fire dispatched a Box for 4072 Cabet, a short distance down the road. We followed the glow in and arrived first due to find the front on a 1.5 story dwelling involved with a neighbor using a garden hose, trying to contain the fire. The winds were blowing and keeping a lot of the smoke and ash low as you will see in the photos. The ladder was first in and stretched a red line for exposure protection. The engine stretched in and attached the main fire. The fire was contained to the fire building.